The Emergency Game Kit Rulebook page is a table of contents for the rulebook I've assembled for my Emergency Game Kit. The rightmost column of the table contains links that go as directly as possible to printable versions of the rules in my anthology. In a few cases, I can't link to them; this is usually explained. The printable rules are usually PDFs, but sometimes in the form of web pages, Word docs, etc. If rules are not in PDF form, I print them to PDF myself, and then I gather the rules PDFs into a directory in alphabetical order, using a Linux program called PDFtk to assemble them into one large ebook that I can carry with me on my ereader. I encourage you to do the same. I wish I could provide you with the latest version of my rules ebook, but remixing and redistributing the rules in that way would infringe multiple copyrights. When I print out rules on paper for my own use, I keep them in a flexible three-ring binder inside my emergency game kit. I don't bother to print the whole rulebook at once, even though I could thanks to my big PDF ebook, but instead insert and remove individual pages as needed. This way, I can also print the longer rulesets four-up and adjust other print jobs as necessary. I hope you enjoy this rulebook. It took a few months of effort just to gather decent, printable versions of the rules to my favorite games (and games that promise to be fun), not to mention the time put into reading and learning them. If you've never heard of Matrix Games, now's a good time to find out about them! I'm interested in playing! I am offline for a week each month but would love to play. Great, Tasshin! I'm looking for six players, and you're the first. Needless to say, we've whooshed right past the March 1 deadline. If you know anyone else who might be interested, please pass on the info. Ron Hale-Evans. 2019-03-05 00:28 UTC. 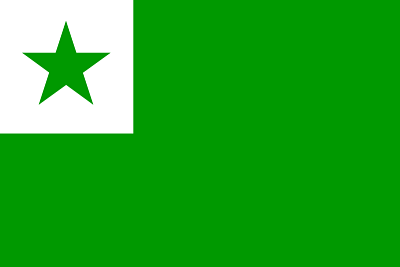 Esperanto is a constructed human language created around 1887 by L.L. Zamenhof. It was designed as a universal second language to promote international peace and cooperation. As an educated person, you might know all this already. You might even speak Esperanto, like me. So when I ask, "What is the Esperanto of games? ", you might think I'm asking whether there is a kind of glue or interlanguage that binds games together in a ludic synergy — or something like that. Not quite. For the purposes of this post, I'm referring to the propaedeutic properties of Esperanto. Propaedeutic knowledge is introductory knowledge that makes it easier to study a skill or discipline. For example, children in music programs are often taught to play the recorder before learning another instrument such as piano because the recorder is relatively easy to learn and manipulate, yet all the same principles of music theory apply to it. It's well known that Esperanto has a pronounced propaedeutic effect on learning other languages. For example, schoolchildren taught a year of Esperanto followed by three years of French consistently speak better French than if they have merely had four years of French instruction. Similar improvement has been shown even for non-Romance languages such as Russian. The preparatory teaching [of Esperanto] prepares students to become aware of the essential characteristics of languages, using the international language Esperanto as a model, a language with a clear and simple structure, almost completely regular and, thanks to its agglutinative character, detachable into combinable morphological elements; this model is easy to assimilate and develops aptitude for the study of other languages. So when I ask "What is the Esperanto of games? ", I'm really asking, "Does there exist a simple, flexible, universal game that could have the same accelerated learning effect for other games that Esperanto does for other languages?" Is there one game you could learn that would immediately give you a strategic advantage in every other game you want to play? If not, what would it take to design one? Next time, I'll propose a couple of candidate propaedeutic games and talk about someone I knew who used one of them to great strategic advantage. Meanwhile, there's a lot to talk about here, so if this topic interests you, please leave a comment with the Comments link below (and check back for responses). joyceans ⱅ woke² asks on Twitter whether there are any propaedeutic novels suitable for teaching novel-reading skills. Although it's not quite a novel, I would suggest Exercises in Style by Raymond Queneau as a great introduction to reading literature, reading fiction, or just reading. It's structurally similar to Ulysses — which should please joyceans ⱅ woke² — but much, much shorter. If Exercises in Style is too difficult, then I recommend 99 Ways to Tell a Story by Matt Madden as an even simpler homage to Exercises in Style, in comic book form. By the way, I'm responding on my blog rather than Twitter because of Open Web considerations I discussed earlier. Ron Hale-Evans. 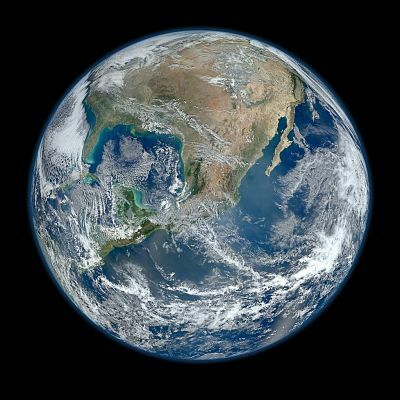 2019-02-18 19:48 UTC. Ron Hale-Evans. 2019-02-11 21:05 UTC. Have you tried adopting the Nigerian short word defensive style of Scrabble play? Trevor! No I have not, in part because I hadn't heard of it and in part because it seems to require memorizing every five-letter word and shorter in the dictionary. But also, is the Nigerian style a myth? Ron Hale-Evans. 2019-02-07 23:44 UTC. In other words, the winning strategy is to play short words when it's appropriate to play short words and long words when it's appropriate to play long words. Well, who can't agree with that? Ron Hale-Evans. 2019-02-09 00:40 UTC. I got from both articles that the Nigerians focus on "defense" moreso then conventional American players and while that such "defense"-oriented-play may not always be the "optimal" strategy such a focus seems good enough to win them some games as "scrappy underdogs" (which you seem to be in the case of Scrabble with your wife). My mental model is college football where teams can find success if they are really good at only small parts of "optimal" play (i.e. Michigan State can win games with a good defense and bad offense, Oklahoma can win games with good offense and bad defense, and Army can win games by just running the ball and not even bother at trying to pass it). I agree that memorizing a bunch of low-frequency words just to be good at a certain game isn't necessarily what I'd want to spend my energy on doing. Well, that's true. I don't really want to spend years grinding at any one game, because there are so many games I like. My late friend John Braley was a Chess master, and could beat almost anyone I knew at any other game that hit the table for most of the time I knew him. He was able to export his Chess strategy to many other games. I'd like to do something similar, but by playing many games in parallel (see ScoreBoard), rather than just one in a long series. That said, I'm willing to put a certain amount of work into Scrabble specifically, because I play it with Marty. However, my immediate goal is to be on par with her and not to win a world title, so memorizing thousands of words over a period of years with spaced repetition does seem like overkill. What happens when Michigan State plays Oklahoma? Ron Hale-Evans. 2019-02-09 06:19 UTC. Either approach can win but traditionally defense-minded Big Ten teams like Michigan State do comparatively well in the mud/snow (versus sunshine). I suppose in this way, many sports are asymmetrical games like Cosmic Encounter. Every alien power can win, but the outcome depends on which other powers it's facing, and how well the player makes the best of the alien's strong points while minimizing the effect of the alien's weak points. Ron Hale-Evans. 2019-02-09 21:09 UTC. One of the 327 or so ideas I like to spread is matrix games. Matrix games were invented by Chris Engle in 1988 and are a little like board games and a lot like roleplaying games — but more flexible and powerful. Matrix games have few rules but rich play. You might think of them as the RPG equivalent of Go in that respect. In short, players don't usually roleplay a particular character, but collaborate in saying how a game world develops. I appreciate matrix games so much, I started the Matrix Games Wiki as a central place to discuss and contribute matrix game material. Recently, because I had an idea for my book in progress, and as part of my 10x10 game challenge (in this case, to play 10 matrix games in 2019), I spent three hours playing a solo matrix game to develop that idea for my book, Parallel Pastimes, a collection of reviews of imaginary games from a parallel world. I intended to explore and develop my parallel world of Counter, and specifically Counter's imaginary game with the working title of The Gamer's I Ching. This book/game is modeled on the real-life Solo System (and even in a way the Matrix Game), but rather than being an artificial opponent or gamemaster, it's a player's advisor of a kind called an oracle. 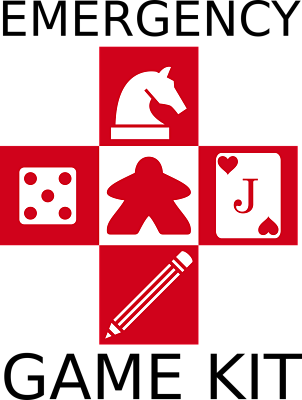 On Counter, players consult oracles during multiplayer game play and often take their advice on the game situation and the next move. I'd like to give a complete report of my expedition to Counter, but I must keep some of it to myself while I continue to work on my book, so what follows is more summary or condensation than "actual play". Meanwhile, I'll just say that this entire scenario was developed on the fly with the help of the Matrix Game. It's a worthwhile writer's tool and also fun to use. Of course it's fun — it's a game. GigaMesh gossip had it that the game that famous game critic Ludic Flâneur was about to playtest was an improved oracle designed by AI. He did not himself know where the improvements lay. He took the book to a secret game night where all the players of the evening's board game were running (or being run by?) other oracles. Although LF went to the party to playtest his oracle-on-loan, he found himself far more intrigued by the game on which he was testing it. This was Little Lands of Opportunity, a financial game about crowdfunding competing micronations. He found it so intriguing that (just this once?) he lost all his critical integrity and became an unreliable narrator and Little Lands forever fan. The Ludic Flâneur's review of the oracle became instead a review of Little Lands of Opportunity, about which there was nothing objectively special as a game in Counter's game-rich environment. But why? All will be explained. Soon, soon... I hope. Comments? Please leave them with the link at page bottom.